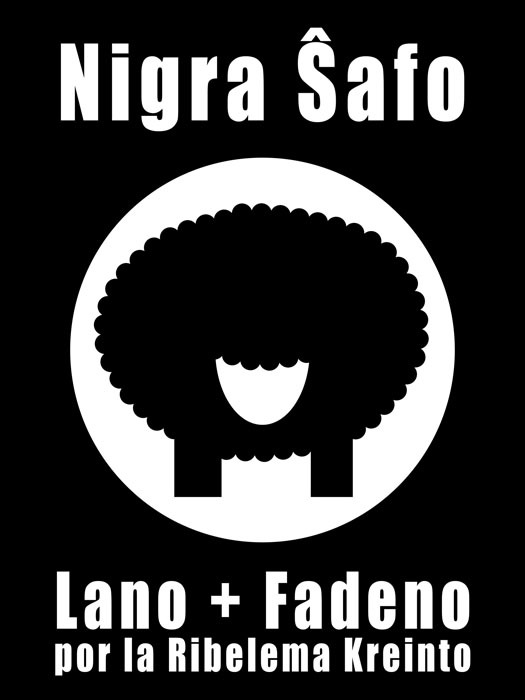 Io por Ilustraĵa Vendreda temo, ‘Lano’. | Something for Illustration Friday’s theme, ‘Wool’. I’m planning on learning screen printing at some point in the near future (like… next week. As soon as i’ve finished the Month of Speed Painting), so i’ve been trying to develop some nice simple screen-printable designs. 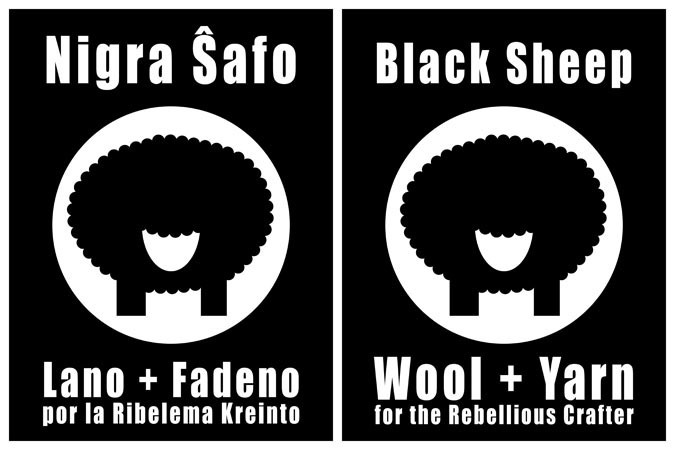 I doubt i’ll have much excuse to screen print on wool, but i didn’t want just a sheep for the ‘illustration’ version… hence, Black Sheep (aŭ Nigra Ŝafo) Wool & Yarn instead of, say, Black Sheep T-Shirts & Prints.